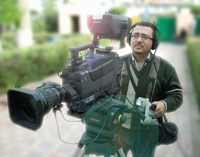 We need a Young and Talented DOP to work for a Tv Channel in Doha, his main duties will be shooting Promotions, Tv Bumpers & Documentaries. this is a long term Job & the selection will be based on Showreel ONLY & interview afterwords. please send me you website if you have one or Upload your works to Vimeo or Youtube and share the link with us.